I want you to understand that I respect the rights of the poorest and weakest of colored people, oppressed [to deny others their rights or liberty] by the slave system, just as much as I do those of the most wealthy and powerful. That is the idea that has moved me, and that alone. I, John Brown am now quite certain that the crimes of this guilty land will never be purged away but with blood. Caution, Sir! I am eternally tired of hearing that word caution. It is nothing but the word of cowardice! I dont think the people of the slave states will ever consider the subject of slavery in its true light till some other argument is resorted to other than moral persuasion. When I strike, the bees will begin to swarm, and I want you to help hive them. Had I so interfered in behalf of the rich, the powerful, the intelligent, the so-called great, or in behalf of their friendsand suffered and sacrificed what I have in this interferenceevery man in this court would have deemed it worthy of reward rather than punishment. If it is deemed necessary that I should forfeit my life for the furtherance of the ends of justice, and mingle my blood further with the blood of my children and with the blood of millions in this slave country whose rights are disregarded by wicked, cruel, and unjust enactments, I submit; so let it be done. I have been whipped, as the saying is, but I am sure I can recover all the lost capital occasioned by that disaster; by only hanging a few moments by the neck; and I feel quite determined to make the utmost possible out of a defeat. New Updates! (4/21/2019) We've been working really hard on completing our membership system so you can submit quotes and keep track of them. Once this is complete in the coming weeks there will be a lot more quotes by John Brown and other authors. We've also changed the sorting on the site so you now see the latest John Brown quotes first. 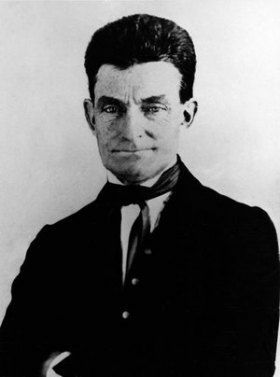 Our goal is to have the best John Brown quotes on the web!